When the job of keeping employees engaged and empowered lands at your feet, it can often be a daunting task. But don’t fret. We’ve come up with a few ideas that’ll not only make your life easier, they’ll ensure you make your entire workplace happy. To improve workplace morale and efficiency, show your team that you care. How? Empower them to spend it well with an M&S gift card. 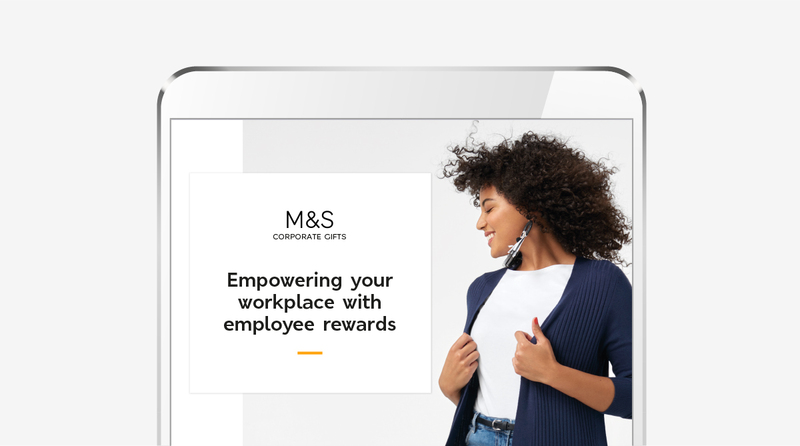 To find out more about keeping employees happy and empowered with M&S Corporate Gifts, submit an enquiry or give us a ring on 0330 058 0734. This entry was posted in Colleagues. Bookmark the permalink.